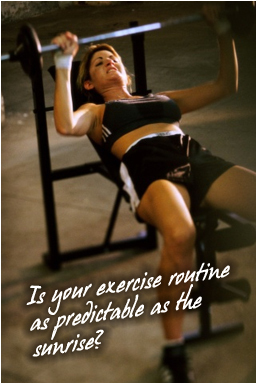 Many individuals go into working out without a plan of action. They may jump on the stationary bike and ride it for a few miles, follow others in the circuit training, or grab some free weights and do random routines. They may watch others, ask others, and envy others. Then there are those who are self-dedicated, have worked out for years, and know exactly what to do to achieve the results they want. They know which exercise works best and they have fallen into a faithful routine. The last group is those who hire a trainer for various reasons such as changing up their own made routines, achieve different results or certain new levels of fitness, or need to depend on someone to motivate through a workout. My reasonings for hiring a personal trainer have always been the same; to change up my own existing routine and give it some fresh light. I’m also on a constant quest to sculpt my muscles more and reach beyond my fitness plateau into perfection, if such a destiny for myself exists. Over the past 10 years, I have had six personal trainers, three men and three women, each with their own unique approach and method to reaching fitness nirvana. Three utilized the weight equipment and machines in the gym to help me get where I wanted to be, and three taught me new methods of using my own body weight to achieve my results. 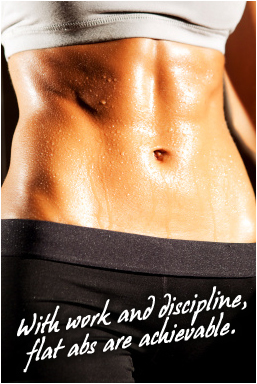 Of the six trainers, only two worked for me in the sense that I felt the benefits and witnessed the results in my body. They have had such an impact on my fitness level, I will always sing their praises and have put them high on a pedestal. The others were not a match and, looking back, it was a disappointing waste of my energy, time and money. Ironically, the peak of my own self ultimate fitness level was when I trained alone for fitness competitions. Two months out, I decided to start competing and, in that limited lead time, whipped myself into competing form. How? 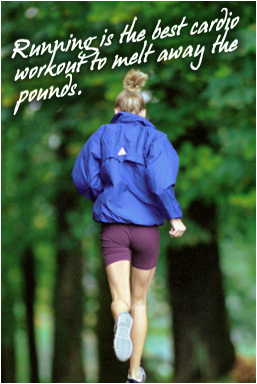 I spent 90 to 120 minutes in the gym every day with a third of that going to cardio. The balance went to weight training and ab work with routines and equipment I had learned over the years work for me. I was religious and diligent with my exercises. So much so, many thought I was a trainer. Working out was the easy part for me since I enjoyed my time in the gym. It’s like playtime for me. I unwind, relax and let go. It’s my sanctuary. It was the diet part that was initially challenging for me as I had become accustomed to not having to necessary watch what I ate. I read up on eating and watched my food intake. I developed a diet plan that would burn the most amount of fat and incorporated good fats with omega-threes. I was heavy on the proteins, such as egg whites for breakfast, tuna for lunch, and chicken for dinner, and included lots of fresh vegetables. I eliminated sugars and processed starches and drank lots of water to flush my system. No sweet treats. No bacon or bread. Not even pizza. This was definitely the hardest part of my self training. My hard effort and self discipline proved itself as you can see in the photo above. I kicked myself into outstanding form and proved I could do it alone and without a trainer. At the same time, I have immensely enjoyed working with trainers Thomas Lengyel and Leann Pacinelli who have truly listened to what I expressed my fitness goals to be and who created personalized workout plans that became successful means for me achieving my fitness objectives. So just like anything else in life, you need to be wise when selecting a personal trainer if this is the route you decide to go. Get a referral from a satisfied friend in your gym and interview the trainer about their method and philosophy. If possible, schedule a trial workout to see if like the trainer’s approach to working out, that the two of you mesh with your personalities, and that the trainer genuinely shows an interest in you and your goals. Or, if you feel you have the willpower, you can go solo just like I have. Either way, it will take a few weeks to a few months to see your results that will be ultimate true measure of your success.